Two months ago I decided to compile the number of ‘likes’ on social media for all the potential U.S. Senate candidates from North Carolina. There have been several developments since then, so I think now would be an appropriate time to follow up. Here’s the February post for those who missed it. This time, instead of looking at Facebook and Twitter followers individually, I’m going to add them together for one combined social media ranking. That means a candidate with a strong following on Twitter but not so many fans on Facebook will lose. I’m also not going to look around for any candidates who might have other social media accounts like Tumblr or Pinterest, because that’s just stupid. The first number will be ‘likes’ on Facebook as of April 5, 2013. We’ll add that to followers on Twitter to come up with the score (in bold). Next will be the February total, followed by the change in number of followers. If you’re planning a U.S. Senate campaign, it’s probably a real disaster if you’re losing followers on social media. Two months later, none of the rankings have changed. 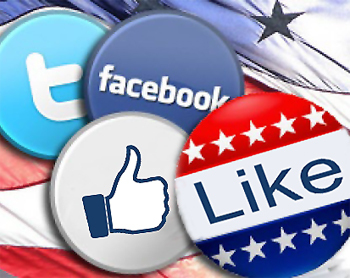 All in all, the candidates added social media fans at a rate corresponding to their position overall. The big winner this month is Kay Hagan. Not only does she still have the most social media fans, but she added more followers than any other candidate. Why? Well, for one thing, she’s an incumbent senator gearing up for reelection, so there are quite a few Democrats in the state who are going to take notice and follow her on Facebook and/or Twitter. But the biggest reason for Hagan’s increase is probably due to her announcement last week in support of gay marriage. Before her gay marriage announcement, Hagan was adding followers on Facebook at a rate of 100-200 a week. Since then, however, she’s averaged about 670 new followers each week. The gay movement is powerful on the Internet, and they quickly come to the aid of their allies. Take note, Republicans: if you want to own the social media wars for next month, just come out for gay marriage! Patrick McHenry once again leads Republicans. Actual polls also find McHenry doing very well. The reason? Name recognition. McHenry has been in Congress since 2005, longer than any other candidate except for Foxx. But the real winner on the Republican side is Greg Brannon. As the only announced Senate candidate, it’s expected that he might pick up new followers faster than others. But over the past two months alone, he’s added over 1,000 new social media fans. Brannon is running as a Ron Paul, Tea Party candidate – another group that has disproportionate numbers on the Internet. And Thom Tillis? Despite his appearance in a TV ad designed to increase his name recognition, his numbers don’t really stick out. Maybe for viewers of the ad, finding Thom Tillis on social media just isn’t a big priority for them. Once again, it should be noted the uselessness of these numbers, at this time. Most of the ‘likes’ and follows are based on name recognition. It is biased toward those who currently serve in Congress, just like with polls. But trends in social media are definitely important. They can indicate which side is fired up – and which candidate stands to gain from that intensity.